Jaguar F-Type Convertible Interior, Sat Nav, Dashboard | What Car? 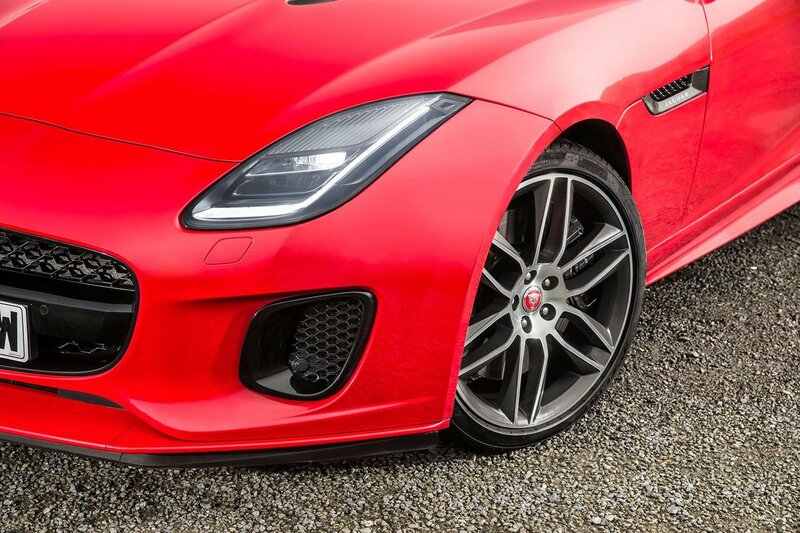 All the F-Types we’ve driven have had the optional performance seats fitted; these are just as good at holding you tightly in place when you’re tearing round bends as they are at cosseting you on a lengthy motorway jaunt. With part-electric seat adjustment (full-electric adjustment is standard on the 400 Sport and V8 versions and an optional extra on lesser V6 ones) and a steering wheel that moves up and down and in and out electronically, it’s also very easy to find your ideal driving position. The car's interior also feels suitably driver-focused, thanks to its deeply cowled instruments and a central grab handle that seems to fence the passenger off from the dashboard controls. 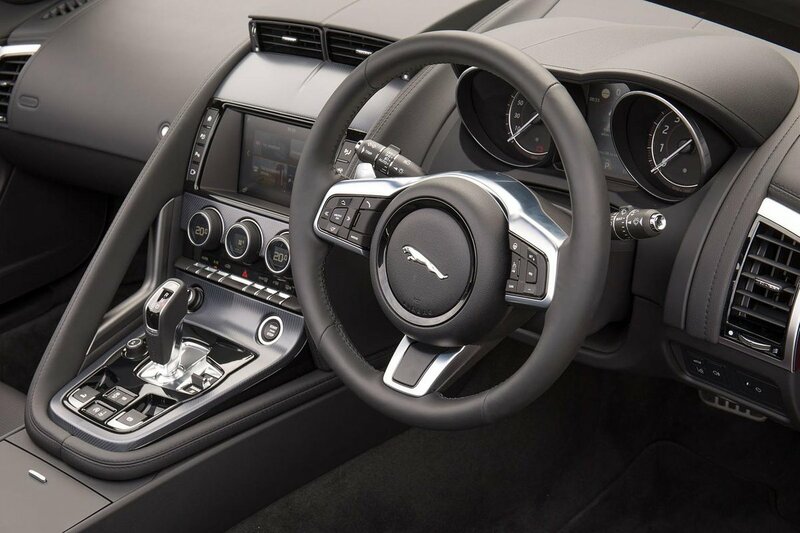 Jaguar has clearly tried to keep the overall design uncluttered; most heating and ventilation functions are controlled via three simple rotary dials, while the central air vents rise out of the top of the dashboard only when required. The important thing is in the main it works well and you can operate most things easily while driving. 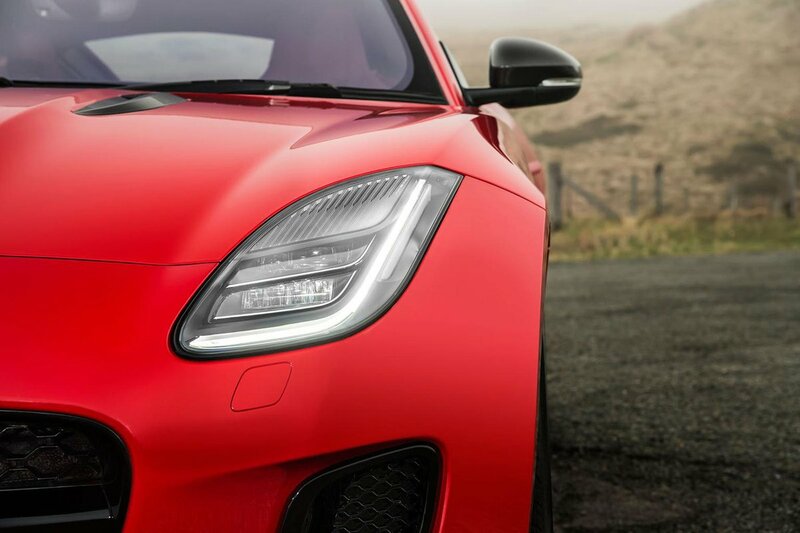 The F-Type’s long and swooping bonnet means it’s hard to judge exactly where the car’s nose ends, so we’d advise forking out for optional front parking sensors. These are standard on the SVR model. Rear visibility isn’t too bad by the standards of two-seat sports cars, and you get rear parking sensors as standard, so shouldn’t have any trouble backing into a tight space. However, if you want extra reassurance when reversing, you can pay extra for a rear-view camera. 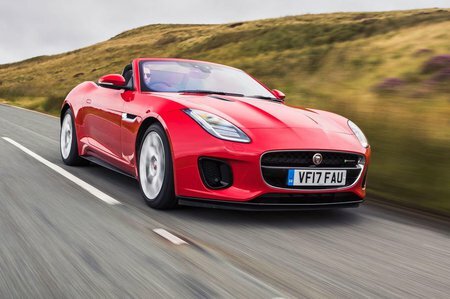 Every F-Type Convertible comes with sat-nav, a DAB radio and a Bluetooth system that allows you to make phone calls and stream music through the standard 380-watt Meridian sound system. There's also an upgraded 770-watt surround-sound system, which is pricey but worth considering if you love your music, because sound quality is excellent. All the major functions are controlled through the 8.0in dashboard-mounted infotainment touchscreen. Unfortunately, this can be distracting to use on the move because the menus aren’t very logically ordered and you have to look away from the road to find the correct area of the screen to hit. True, you could level the same criticism at the systems in the 718 Boxster and 911 Cabriolet, but their touchscreens respond more quickly to commands and have simpler menus that are easier to navigate. Perceived quality is one area where Jaguar has failed to impress recently, but the F-Type has one of the company’s classiest interiors. 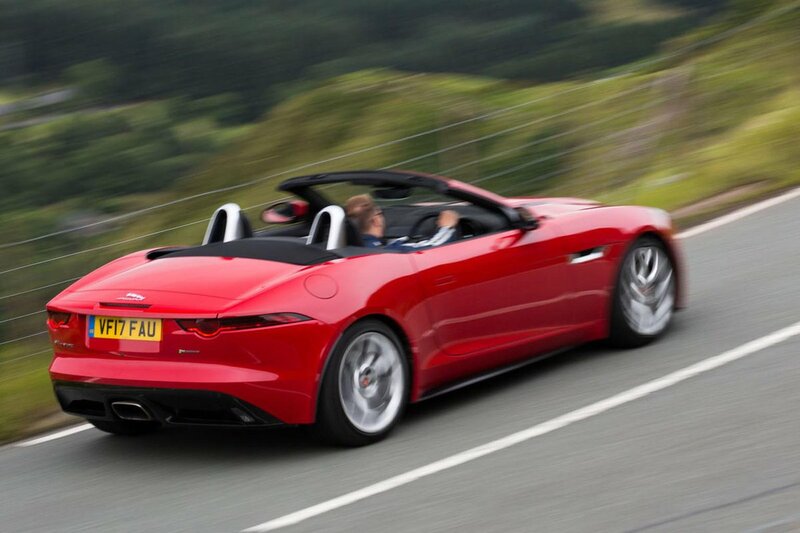 That said, the materials from which it's constructed still aren’t as sophisticated as those of the 911 Cabriolet, and build quality isn’t quite as good, either, although the F-Type Convertible does stand up well against most other rivals. We would, however, recommend paying extra for the optional premium leather interior; otherwise, you get a cheap-looking plastic-faced dashboard that doesn’t show the car in its best light.